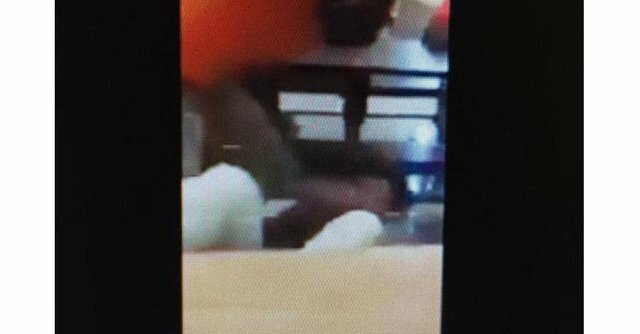 A student at Frederick Douglass High School in Baltimore has been charged with attempted murder in the brutal beatdown of a fellow student during lunch at the school cafeteria on Wednesday. The Baltmore City Public Schools issued a statement on Thursday. Video posted to LiveLeak shows the victim went in to convulsions after being repeatedly punched in the head and then having his head stomped on after as he fell defenselessly to the floor.